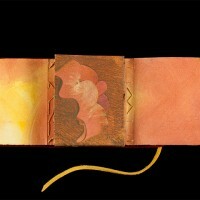 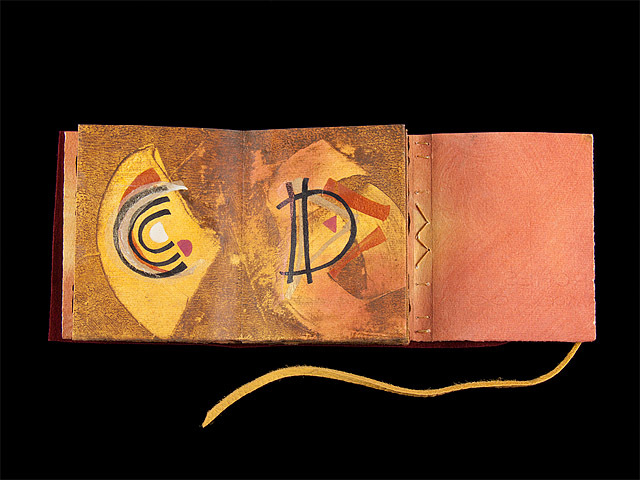 Accordion book, sewn through bottom fold with pamphlet stitch to painted trifold wrapper lettered with the title on the two opening pages. 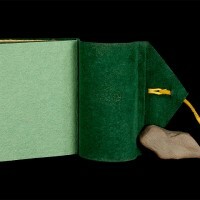 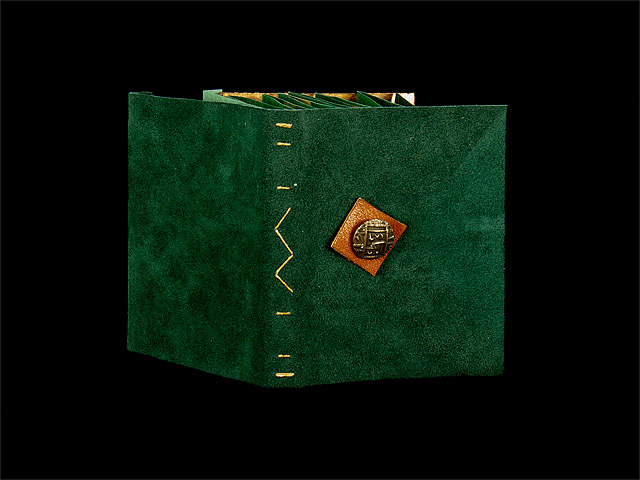 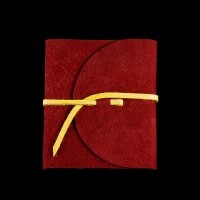 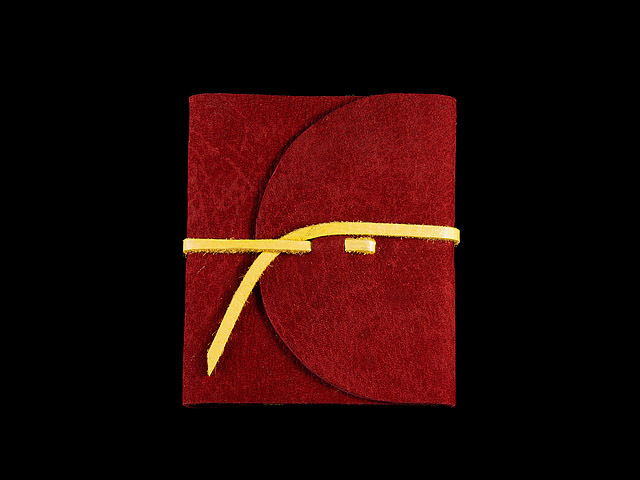 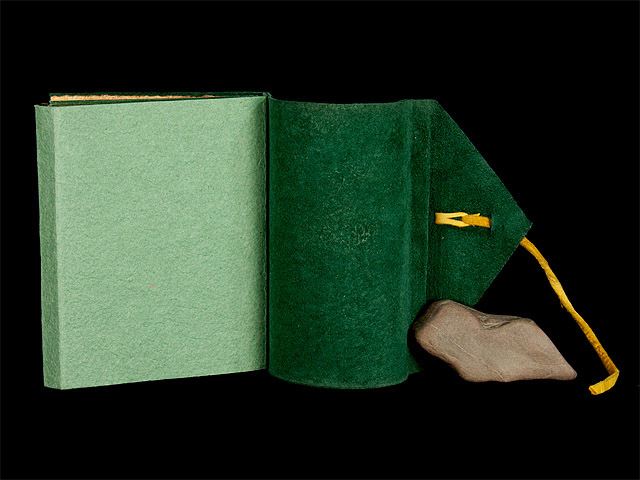 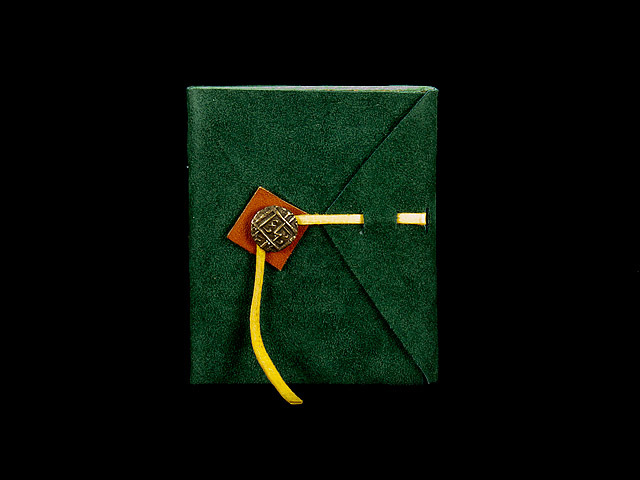 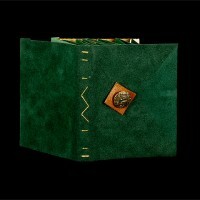 Inner wrapper sewn to a stiffer paper through left spine of the green suede leather outer cover, and through both spines to the red suede outer cover. 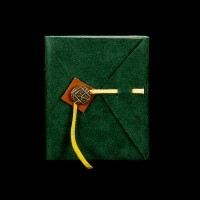 Visible stitching with the center stitch makes an M or W. Gold deerskin tie; green cover also has metal button backed with contrasting square, for wraparound closure. 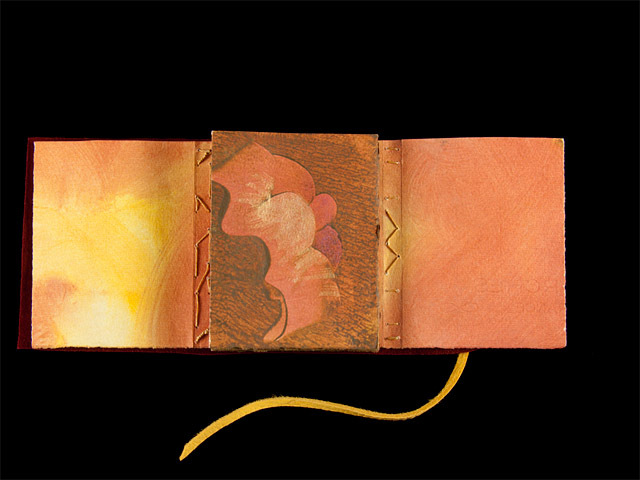 Pages are paste painted on both sides. 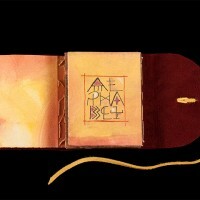 The alphabet is lettered on both sides of the accordion, A-Z, with a folded ruling pen in iridescent and black acrylic inks. 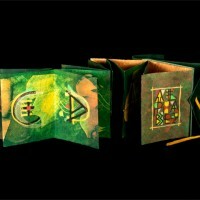 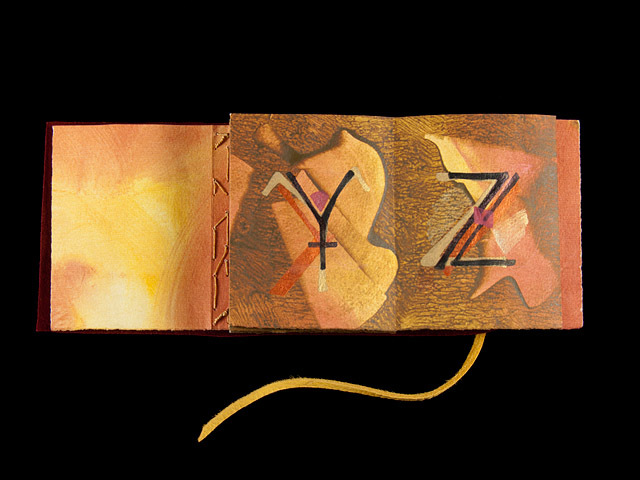 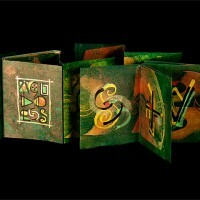 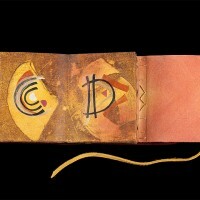 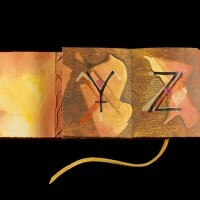 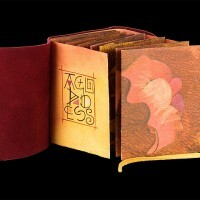 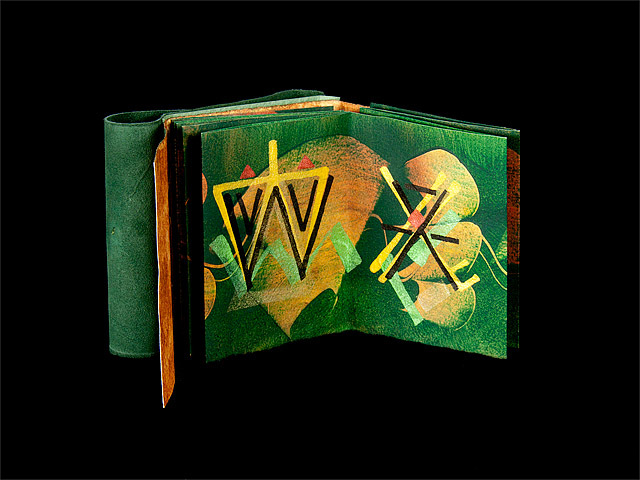 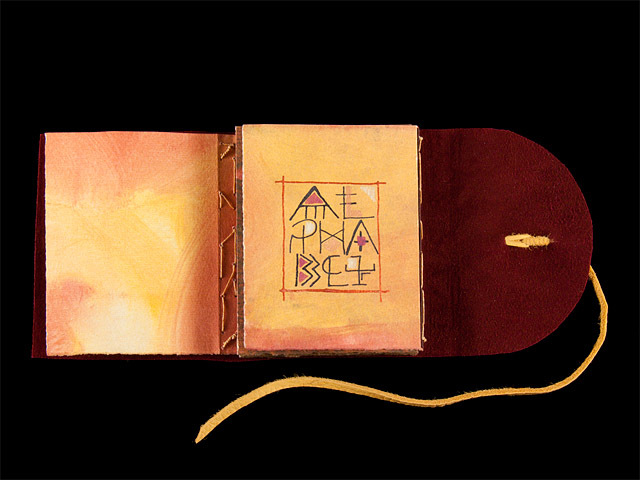 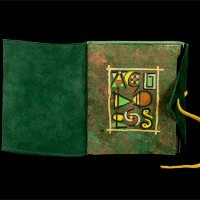 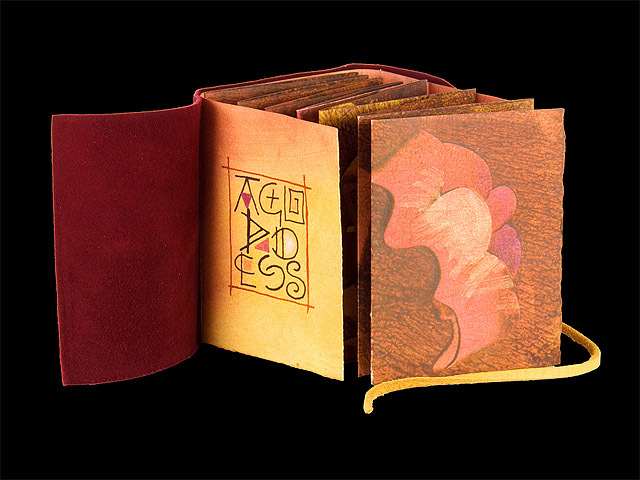 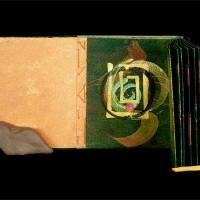 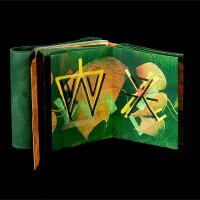 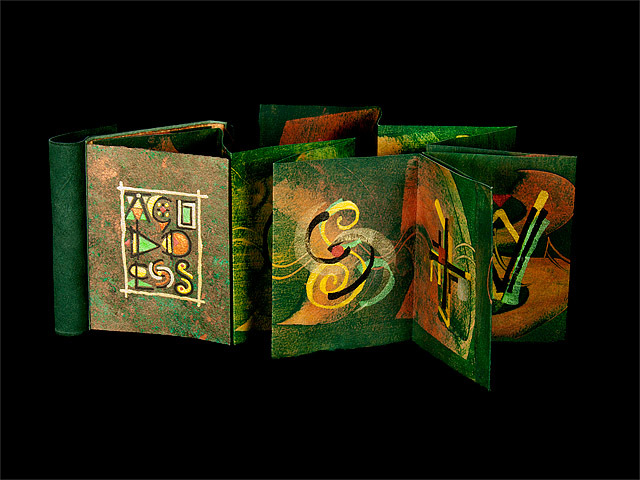 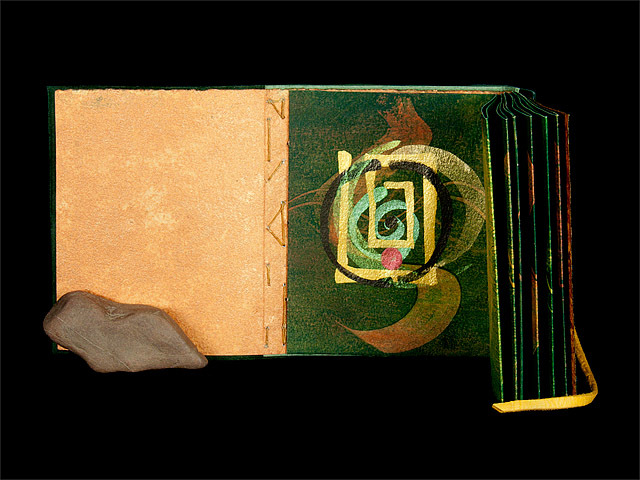 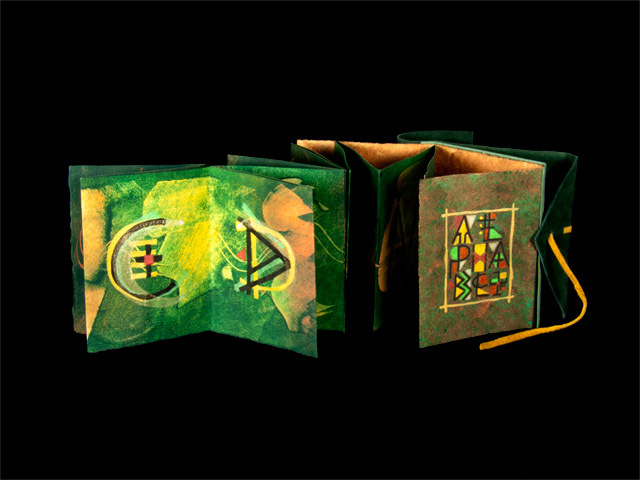 Each page is a calligrapher’s interpretation of the modern Roman alphabet letter in the style of symbolic incised marks from ancient archeological finds from Old Europe; many forms of each letter are layered over each other in different colors, suggesting the layers of time and the genesis and evolution of marks. 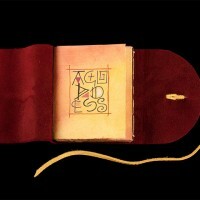 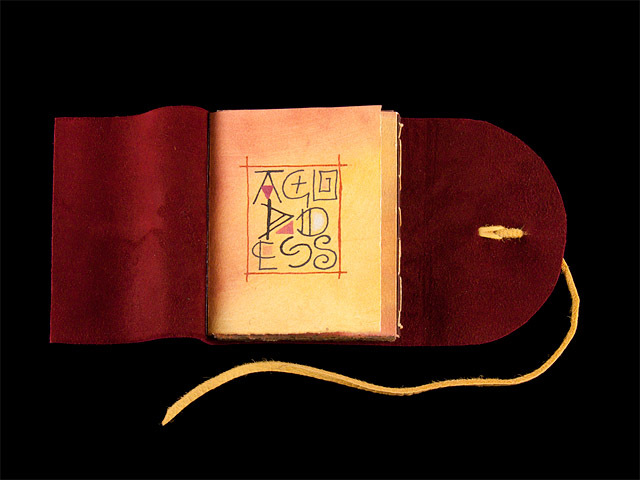 A Goddess Alphabet (red): private collection. 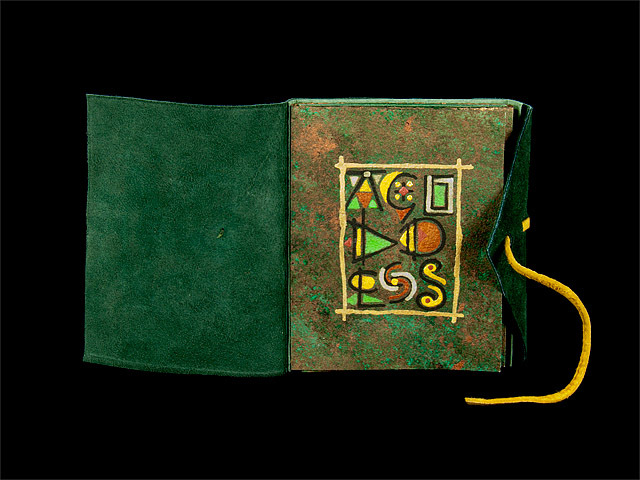 A Goddess Alphabet (green): artist’s collection.